The Discounts are another reason to become a member of the World Hail Network! We are in negotiations with many vendors and retailers, so check back to see new discounts. If you would like to see a specific discount, let us know and we will do our best. Many of the hail repair tool vendors offer discounts to our members. Discounts are for members in good standing. 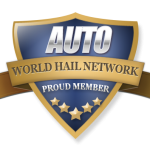 Please remember that when you are using a World Hail Network Discount, you are representing our organization. Please be courteous and appreciative with each person you are dealing with.